Getting ready to move can be an overwhelming process, especially when it comes to planning and packing. While there are many steps to a move, for most people, packing is the most time consuming and labor intensive step. If not done right, you can end up overpaying and even end up with broken items. Getting organized as far ahead as possible and following your plan as you pack your items can make your entire move less stressful. There are several tips that can help you prepare and pack for your move. Start by calculating how much you have to move and the approximate number of boxes you’ll need to move all your items. Take time to sort out things to move and things to sell or discard. The less you move, the less truck space and mover time you’ll have to pay for, so don’t move things you won’t need in the new place. Once you inventory your items, begin to collect moving supplies to help you complete your packing. Gather boxes early. This could include your old Amazon delivery boxes and the left over bubble wrap. If possible, it’s a good idea to save the original boxes for your electronics or breakable items as those will be the safest way to transport those items. Take a trip through your garage or storage area. Clear out any dangerous chemicals like oil, paints and paint thinner and dispose of them properly. Movers can’t move those dangerous or toxic items. Make a list of “things to do” from utilities to enrolling in a new school. Give yourself a deadline for each item. Now, start eating your way through the fridge and cupboards before the move so you won’t have a lot of foods to have to deal with when move day arrives. This is your chance to throw away that 5 year old fruitcake! A large variety of different sized moving boxes. In addition to Freecycle, Craigslist, retailers and other sources of recycled boxes, your mover can supply quality specialty boxes, such as dish packs and clothing packs, as well as a variety of boxes and supplies when you need them. Towels, and clothing are great to help wrap and protect breakable items. You can also use socks to protect glass items. Blankets can be used to protect furniture and larger fragile items. A variety of cleaning supplies to use before and after the move including dust clothes for all the dust you’ll find in hidden places after you move furniture. There are a few tips to follow to make the actual packing go as smoothly as possible. Start Early. Once you know exactly what you’ll be moving and have your supplies, start packing. Starting early lets you take time to pack properly and label and organize your boxes by destination. Downsize. Packing can include not just packing, but sorting through things you forgot you had and deciding what to do with them. You may end up with garage sale items, charity shop donations or just trash. The less you have to move, the less work it will be, the less it will cost you and the faster you’ll be unpacked and in business at the new place. Allow enough time to go through all your things and dispose of the items you don’t want. For most people that’s at least a few weeks or even longer. 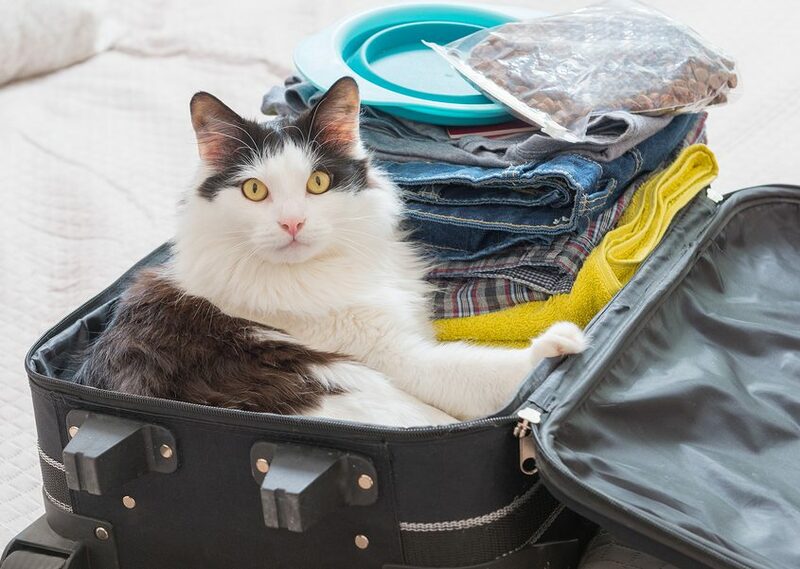 Pack a box to take with you that will hold your essentials – what you need for the first night, digital devices you will need and important personal papers; also include a flashlight, medications, pet dish and food, and other items that you may need in a hurry. If you want to save on boxes and packing supplies, wrap clothing around breakable items instead of using bubble wrap. This way you’ll protect delicate items while getting as many of your things into one box as possible. Pack your empty suitcases, laundry baskets and other storage containers full of clothes and other personal items. It’s also okay to leave a few items in your dresser drawers when moving furniture. Make sure each drawer is taped and securely closed whether there are any items in them or not. Weight: Don’t make a box too heavy so it breaks. Put the heaviest items on the bottom so the box won’t tip or be too awkward to lift. Place heavy items, like books, in small boxes. Label: Label every box so you will know immediately what’s in it. Work out a labeling system with your mover so it ends up in the right room at the new place, saving you time and frustration at the other end. Don’t skimp: Pack well, without leaving empty space so things can’t roll around. Don’t skimp on packing tape or bubble wrap as you may end up with broken items that cost even more to replace. Put your liquid or powdery toiletries in Ziplock bags or wrap in Saran wrap to prevent leaking that can damage everything else in the same box. Specialty items: Don’t try to move your piano, gym equipment, chandelier or delicate artwork by yourself. Get professional help to disassemble and properly pack and move your specialty item to avoid injury or expensive damage. If you’ve rented a truck for a DIY move, put all the big, heavy stuff in first. This way it won’t shift forward and crush your box of Grandma’s china if the truck comes to a quick stop. If it’s screwed together, disassemble your furniture and secure it tightly together in a bundle. If you don’t take it apart, it may easily break during the move. Use plenty of padding to protect furniture that will otherwise get scratched and scraped during transport. Padding is available from your rental company, or use your thickest blankets and duvets in a pinch. Large items should be transported by professional movers. This would include items such as beds, appliances, large musical instruments, and flat screen TV’s. Moving large, heavy furniture and appliances yourself is not only dangerous, but could easily damage the items. Let professional movers help with the “big stuff.” They’re experienced, equipped with safety equipment to avoid injury and trained in packing and moving techniques to avoid damage. They can get your items moved quickly and easily. Moving is an extremely busy and stressful time. Hiring a professional moving company will save an enormous amount of time and help make sure the move goes as smoothly as possible. Movers can be quite affordable, especially if you have done your part to downsize and properly pack your items. 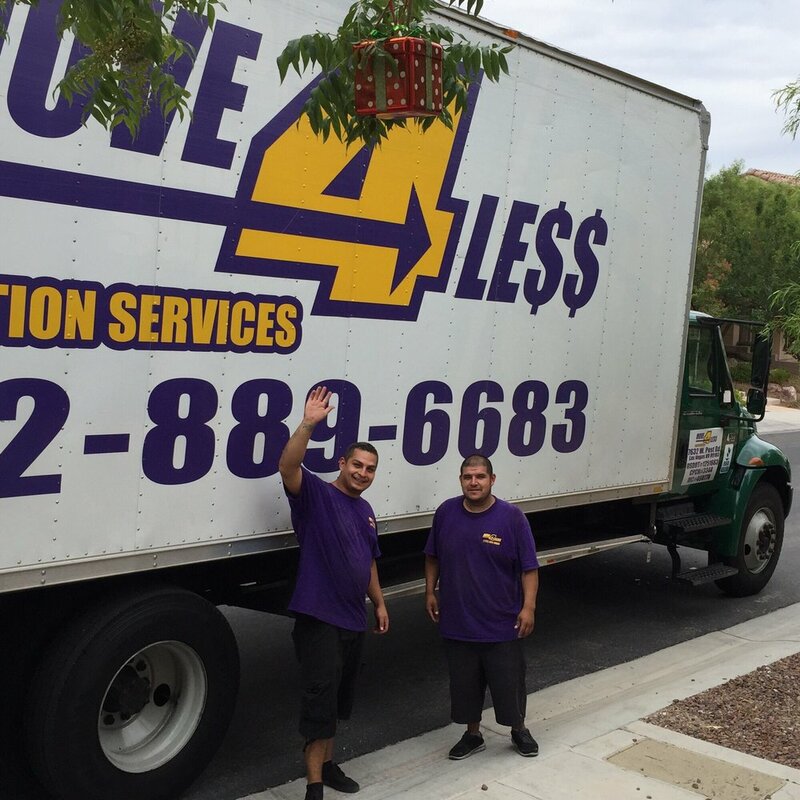 When you’re ready to move in and around Las Vegas, including moves to and from Southern California, contact Move 4 Less to handle all your moving needs. Check out our moving coupons page for free moving and packing supplies and services.